The synthesizer reached the peak of its popularity in the 80’s, but is currently coming back into style with its emphasis in alternative bands such as Radiohead and Arcade Fire. With its prevalence increasing, it was only a matter of time before a talented gamer resolved to make synthesized covers of classic video game music titles. Youtube musician Ace Waters of MotiveMakesaMan Music did just that, and recently recreated “Zelda’s Lullaby” from Ocarina of Time in honor of Peanut Butter Gamer’s Zelda Month. This version of the song is a whole new experience, and one that no Zelda fan should miss out on for any reason. Click the jump and prepare to be awakened by this fantastic Lullaby. A synthesizer is an instrument that emits sounds electronically, rather than acoustically, in such a way as to wholly recreate them. Waters’ rendition is successful in doing this, as the lullaby really takes on a whole new sound. It evokes feelings of nostalgia, while also bringing in an eerie sense of melancholy that gives the song a feeling of importance, strong emotion, and depth. These emotions are similar to those felt when listening to the “Song of Healing”. MotiveMakesaMan Music has been producing synthesized covers of video game music for almost a year now and has covered a multitude of songs from the the Legend of Zelda, Donkey Kong, and Pokemon series, among others. Every piece he produces is a top quality original take on an iconic tune. It’s extremely difficult to pull of creating an entirely new experience when covering a well known song, so Waters should be admired for his incredible talent on not only his rendition of “Zelda’s Lullaby”, but on his other musical productions as well. 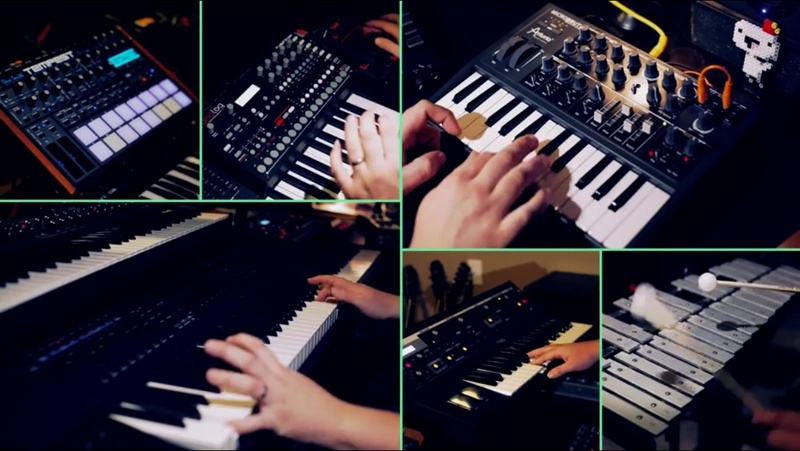 What are your thoughts on this synthesized cover of “Zelda’s Lullaby”? Are you a fan of MotiveMakesaMan Music? Does the somber tone of this piece make the rendition better, or worse? Be sure to express your thoughts and opinions in the comments section below.